Music TV Channel / MTV Dance originally started out as a night-time programming slot on the now defunct digital music channel MTV Extra. On 3 September 2001, The strand expanded to become a standalone music channel broadcast on Sky in both the United Kingdom and Ireland, where it initially timeshared with Nick Jr. every evening between 19:00 and 06:00. 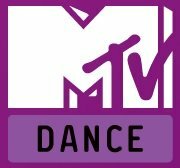 The sharing of a stream subsequently ended; since 13 August 2002 MTV Dance has broadcast as a 24-hour music channel. Muito obrigado pelo canal, mtv Dance, se for necessario contribuir financeiramente para manter o canal Mtv Dance on line, eu contribuo, entrem em contacto comigo.